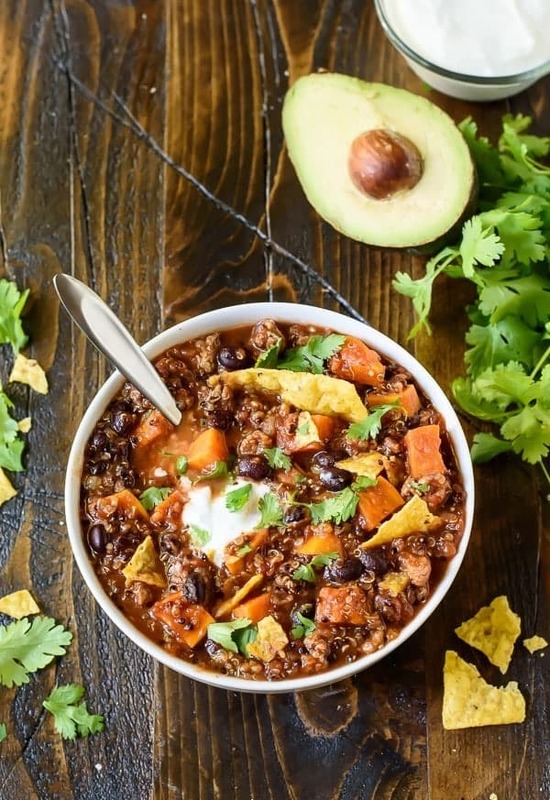 I understand intrinsically what chili means in concept: a relaxed atmosphere, warm kitchen, and a certain sense of community that comes from all serving ourselves from the same steaming pot. 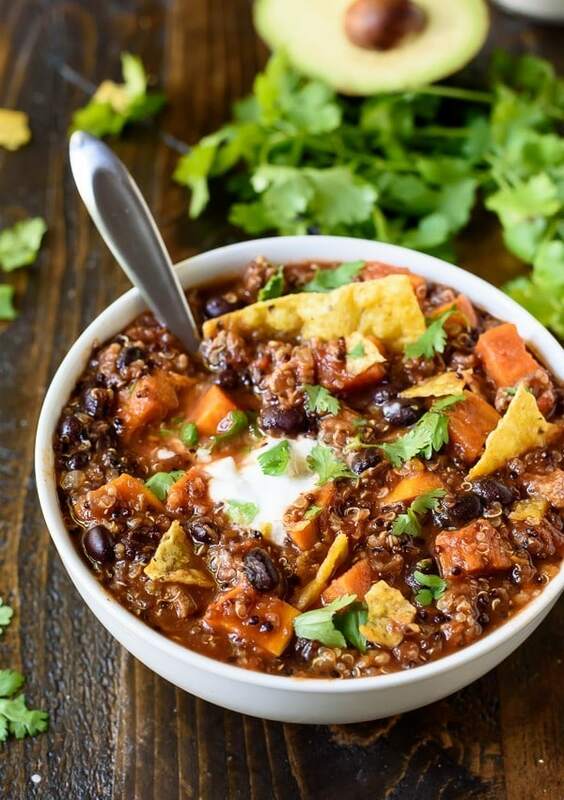 The specifics of your chili in particular, however, will remain a surprise to me, until I take my first bite. Heat the olive oil in a large skillet or Dutch oven over medium high. Add the turkey, onion, salt, garlic powder, and black pepper. Cook and stir, breaking up the turkey as you go, until the turkey is no longer pink, about 5 minutes. Stir in the chili powder, chipotle chili powder, and cumin, then transfer to the bottom a large slow cooker. 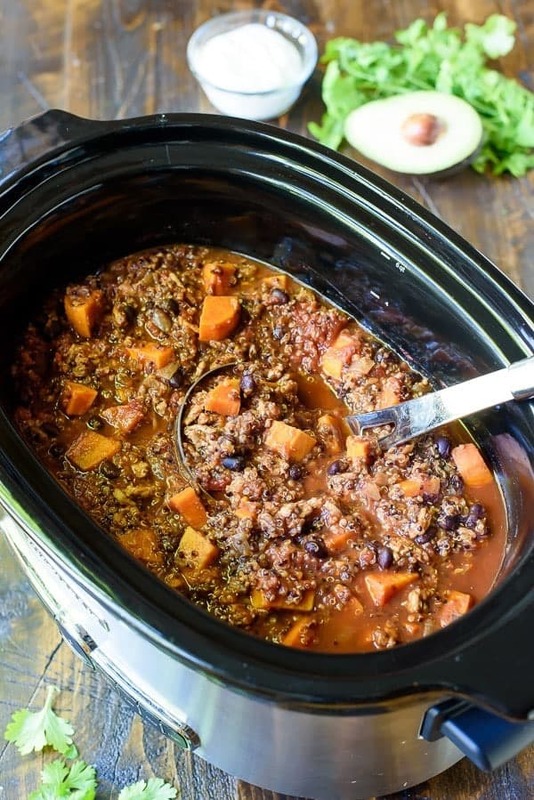 To the slow cooker, add the chopped sweet potatoes, quinoa, beer, 2 cups chicken stock, crushed tomatoes, and black beans. Cover and cook on high for 3-4 hours or low for 5-6 hours, until the potatoes are tender. Stir in additional chicken stock if the chili is thicker than you would like (I added about 1/2 cup extra). Serve warm with desired toppings.